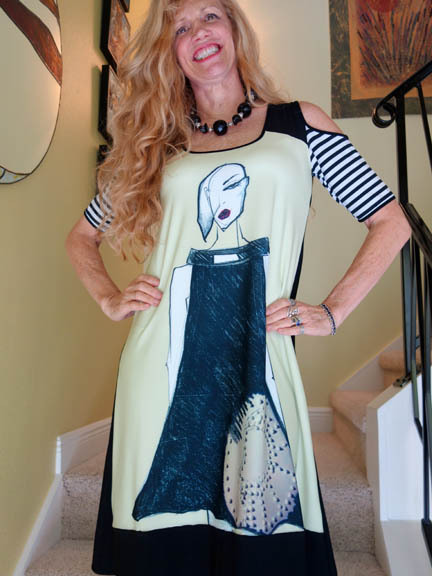 Another great dress from Miami designer, Daya Sanchez! Sublimated print of an illustration of a contemporary femme fatale by Santos, a South American artist for this fashion statement in black and pistachio green. 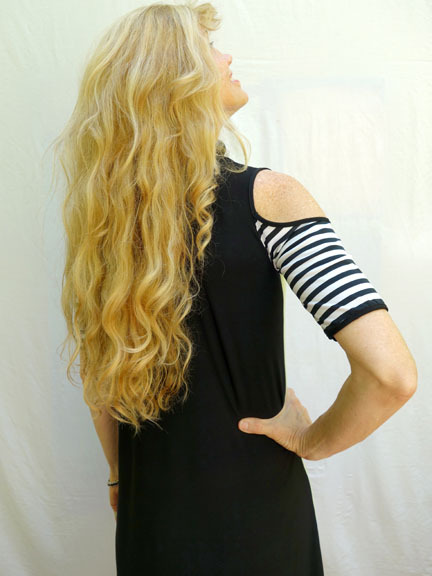 Cold shoulder sleeves with stripes. Solid black back with black piping on neck, sleeves and hemline. Fabric is a poly blend knit. Very striking design looks great all year round. Extra Small or Extra Large sizes by special order only.